What if your phone calls become part of the urban fabric … liquid walls parted as you approached … or your trash could talk back to you? 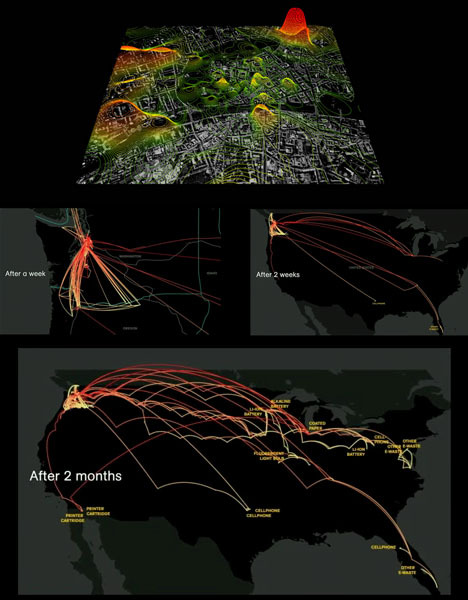 More and more thinkers, technologists and architects are realizing the powerful interactive potential of cities, as these ingenious interactive projects illustrate in actual rather than virtual reality. 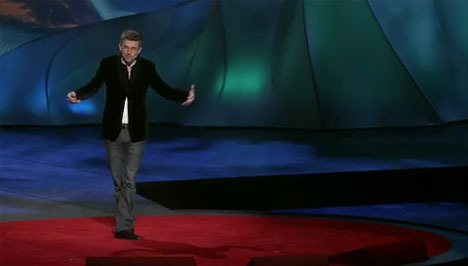 Carlo Ratti of MIT’s SENSEable City Lab is one such visionary who turns invisible data into physical realizations, designing community-oriented architectural projects and engaging civic environments. These strange spaces and installations include everything from flying light pixels to motion-sensing waterfalls. 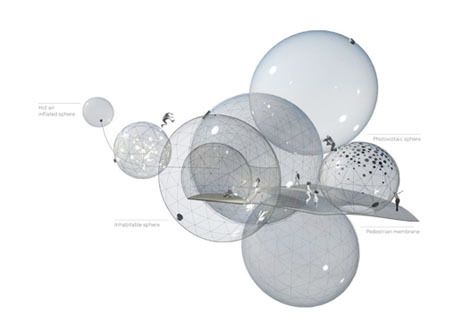 While Ratti has been at this for years, he summarizes his works (as only film can truly capture) in a new TED video, giving insight into past built projects, conceptual data sets and dazzling future designs for upcoming events. Some of his endeavors start by revealing what is already happening all around us. Peak phone usage, for instance, in an Italian soccer match taking place at the heart of Rome – and yes, the spikes happened when and where they won. Or … the myriad directions or trash takes when it leaves the garbage bin and begins a new afterlife on the road (and in the air), spanning the United States in surprising ways. 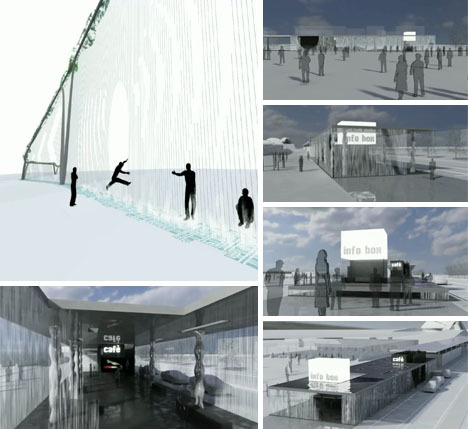 Other theories have turned into real structures made for public interaction, like this water-walled pavilion constructed for a recent design exhibition (renderings above and more footage within the embedded TED video). 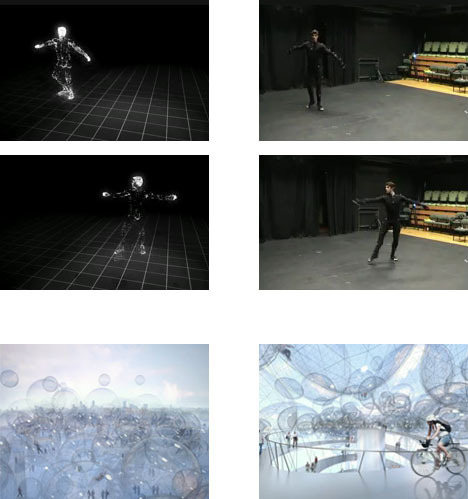 Its liquid walls become open doors when they sense someone’s approach, and display patterns in the form of pixel droplets otherwise. The whole structure was designed to be raised and lowered when not in use or during periods of high winds. Works in progress include a digital mapping system that would translate real-life movements into real-time light shows, using pixelated light pockets hanging from miniature helicopters. His latest endeavor (also yet to be completed) is a three-dimensional floating cloud of pixels, made to display the Olympics in real time to passers by, engaging urban denizens on all sides.